Whether your venue map or website needs some tweaks or a complete redesign, we are here to help. 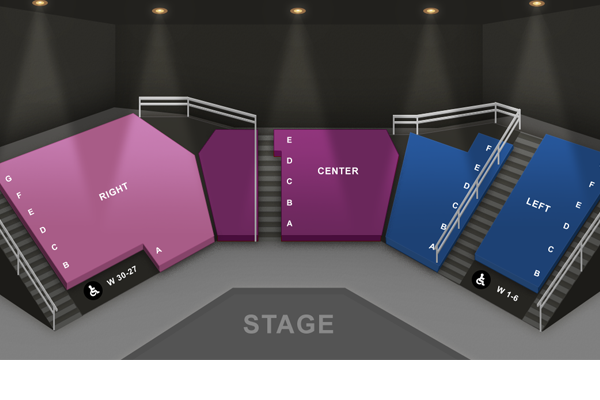 Well-designed assets and venue maps communicate a professional image for your organization, keeps your box office off of the phone – freeing them up to be more productive – and most importantly, sell more tickets. 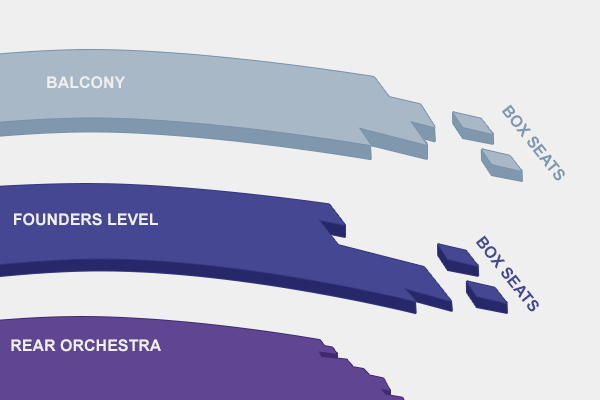 Have your venue maps truly reflect your brand instead of using 2D boxes and lines that don’t scale or give the ticket buyers enough information. Use colors and styles that match the way your actual venue looks. Don’t be satisfied with an outdated design. Make your client-facing collateral come alive with details and perspective. Is your box office getting the same questions over and over about your venue? Put it on the map! 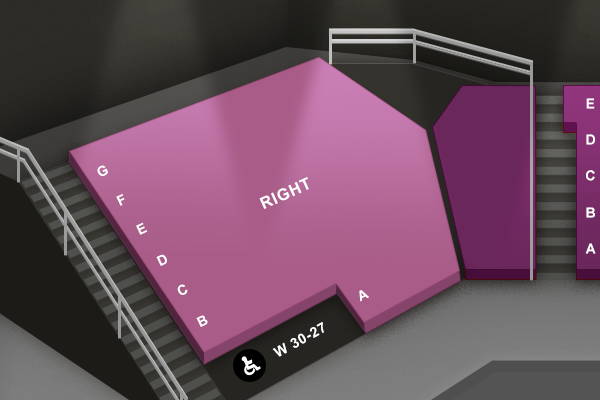 Easily highlight exits, accessible seats and price scales all on your new venue map. 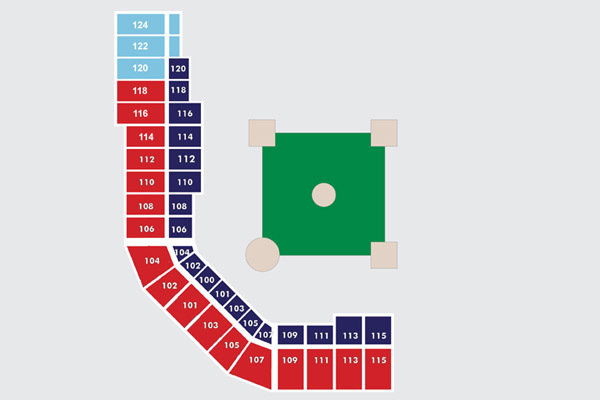 The box office at City of Surprise told us that one of the questions they are constantly asked is whether the red suite section is on an upper level and if it is shaded. We solved this problem by making the map three-dimensional and adding a roof over the suites to answer these questions. 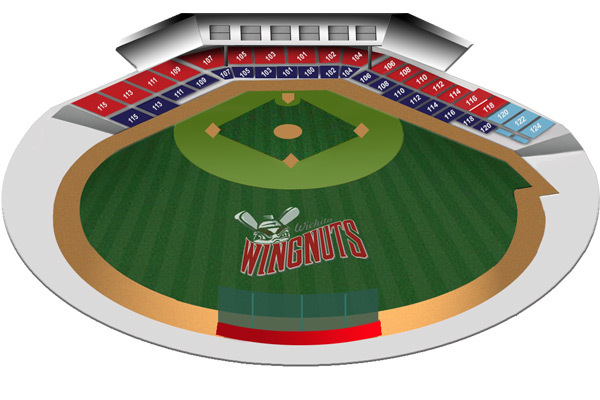 We also flipped the map around so the perspective is looking straight at home plate, giving a better idea of the entire layout of the stadium for new visitors. We stayed true to their current colors, but updated them to match the new look and the lawn and field were redesigned to look more realistic. We also kept the accessible icons in place, but changed them to black to stand out. 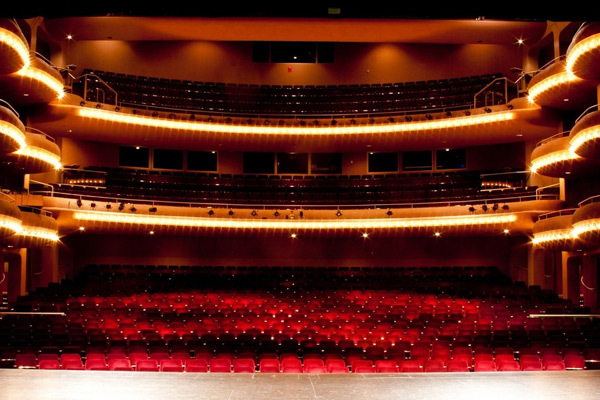 The McCallum is a beautiful theatre located near Palm Springs and is a gorgeous concert venue modeled after traditional European opera houses. The current navigation map did not reflect their brand or aesthetics of the theatre, and we sought out to change this while holding true to their venue. We solved this problem by separating the map into three distinct sections. We also set the perspective from the stage looking out, so that buyers could see how things were split up in the theatre. We kept the simplicity of their old map, but updated it with colors, simple three-dimensional shapes and easy-to-read section labels. 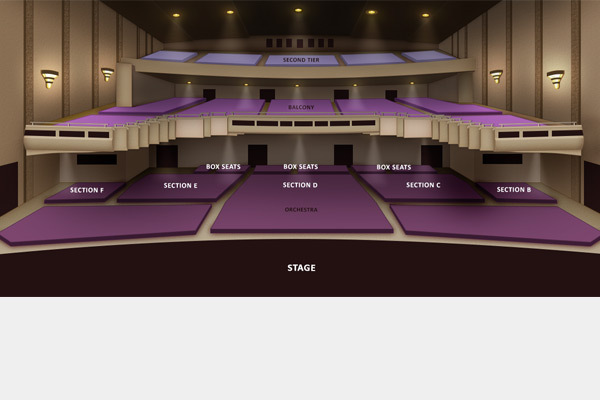 The result is an updated navigation map that contains all the info from the old map, as well as giving the viewer more information of the venue layout. 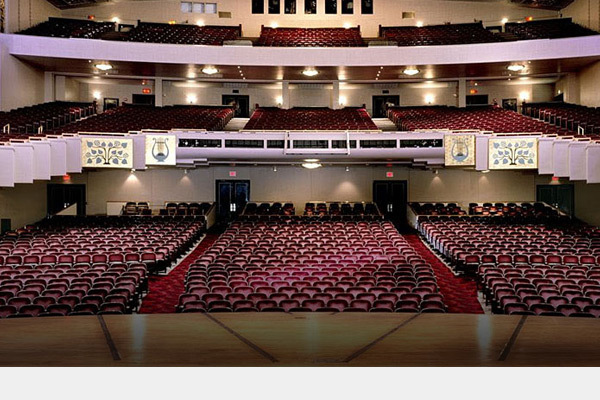 Mortensen Hall, located in Hartford, Connecticut is a three-tiered theatre that mixes both the old with the new, boasting striking art-deco interior, hand painted murals and state-of-the-art production equipment. 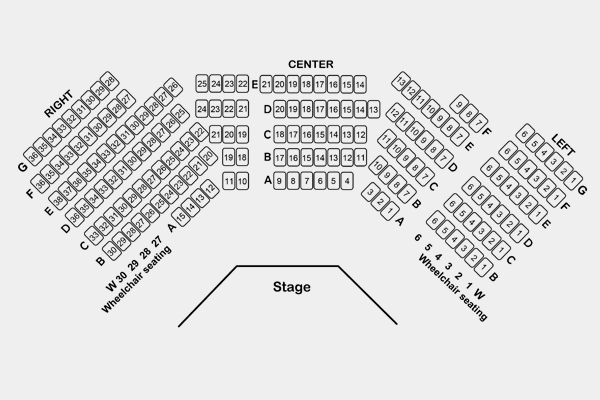 The current seat map is a flat arrangement of shapes that does not provide enough information on the seats or the theatre itself. To solve this problem, we got rid of the flat two-dimensional rendering and created a three-dimensional image that is rich with the details and colors of the actual venue. 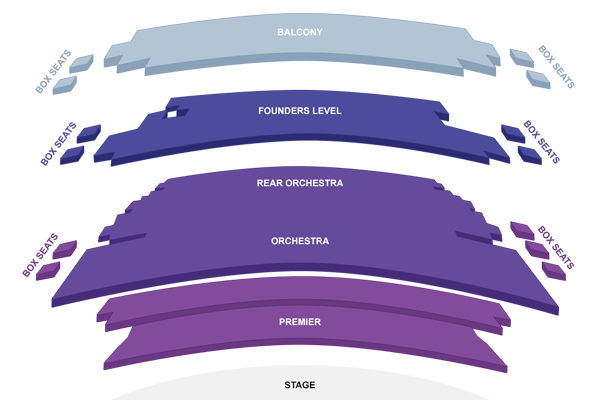 We separated the three tiers to show the consumer where their selected seats may be, as well as mimicked the look and feel of the balconies and lights. The result? A map that stays true to their brand while conveying much more information than what was previously in place. 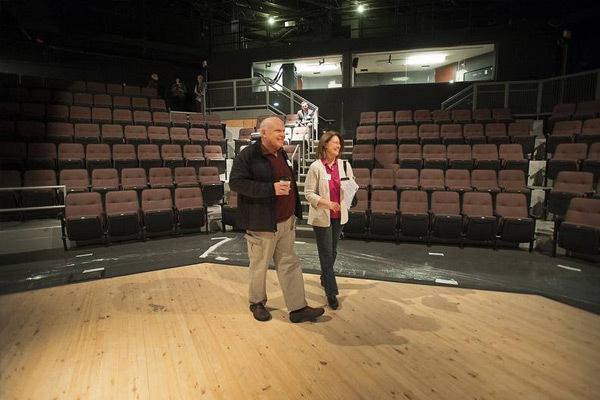 The Playhouse Theatre is an intimate performance space and not your typical seating arrangement, as some aisles fit into other aisles to form a semi-circle around the stage. The standard two-dimensional rendering did not show any elevation or placement of the railings. Details and elevation were added to the map. 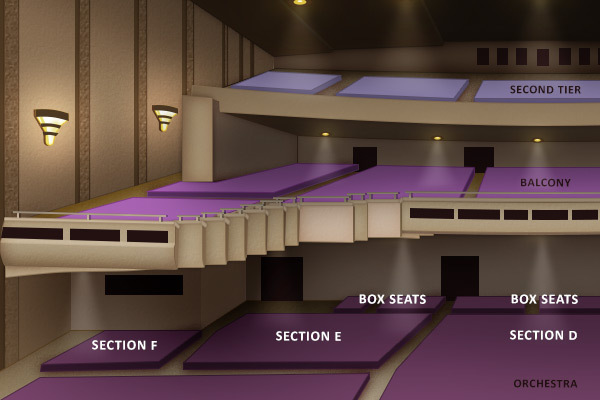 Railings and color were also added that are similar to the actual venue to depict a truer rendering of the theatre. 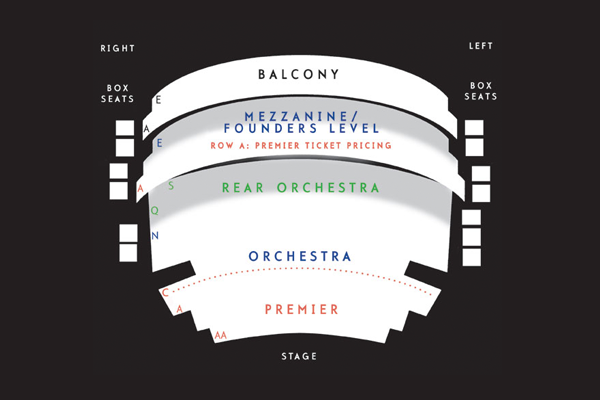 The final map shows the three distinctive sections as well as encapsulates specific details of the unique venue, all while staying close to the brand and coloring of the Arts Center. The current navigational map contained a lot of extra information that did not need to be there and the entire map looked dated. 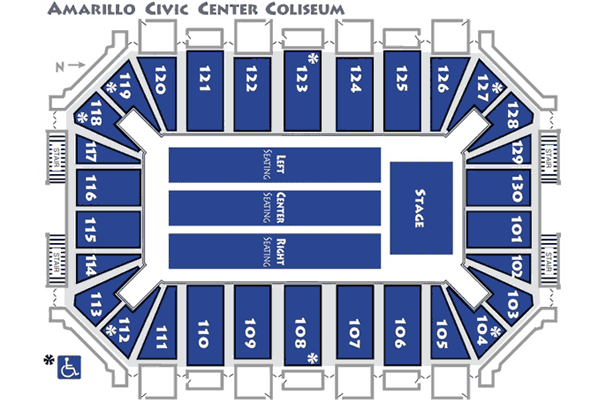 They also did not have a map that showed the arena without the portable seats in the middle of the venue. 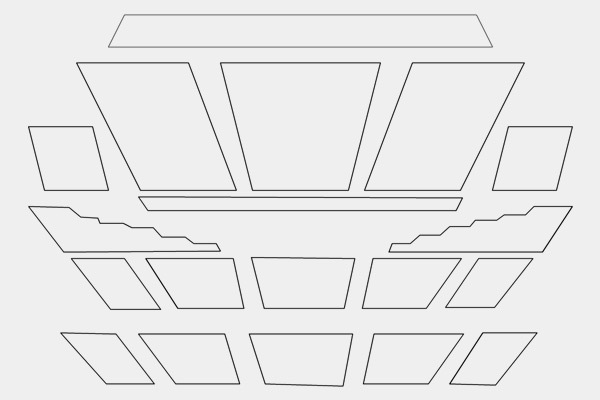 In this particular case, details were actually removed from the original nav map. We removed the gray squares which did not give any extra information to the buyer and also updated the font to something more modern and legible. 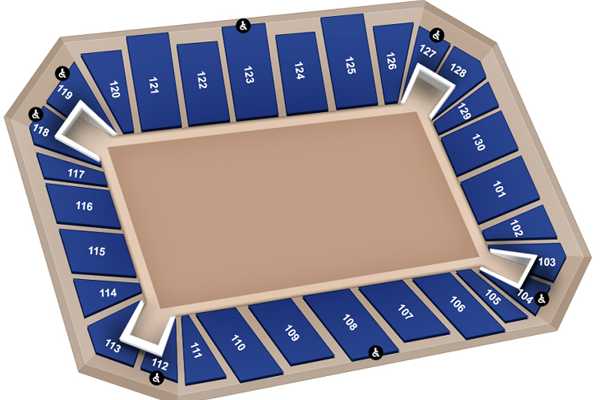 The entire map was made slightly three-dimensional to show a more realistic representation of the arena. 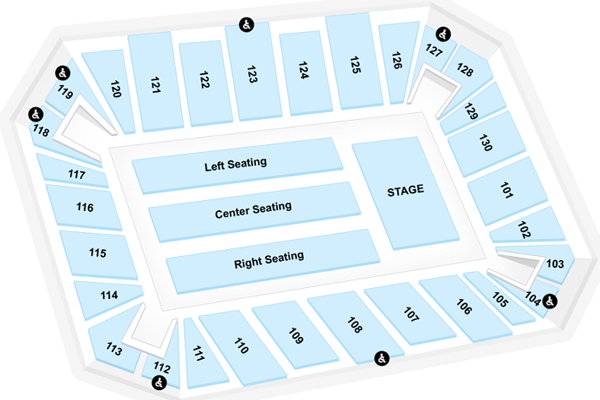 We also created another version of the map with the center seating removed which would be used for hockey games or other events where the entire center area is the stage. 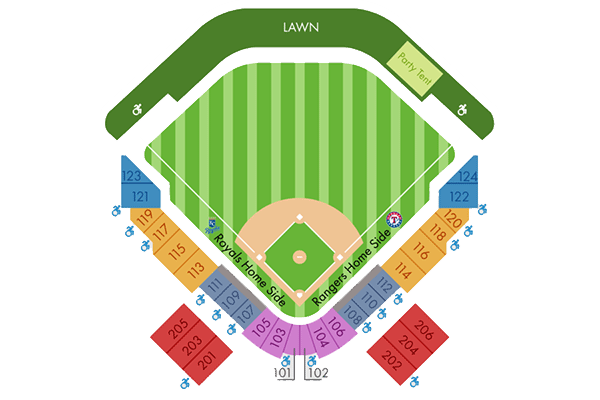 Similar to the other venue maps, the current map for this baseball stadium was dated, flat and the angle was uneven and awkward. 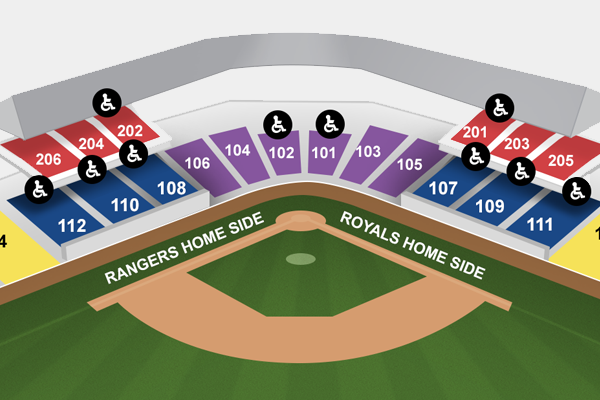 It was also hard to tell which seats were under the shade and which were not. 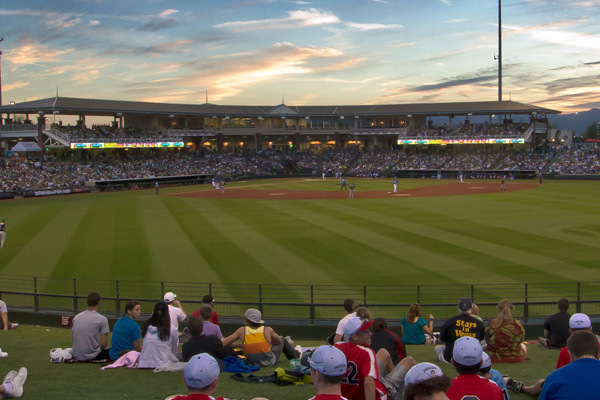 We flipped the stadium so that we were viewing it from the outfield to give the stadium a more balanced look, even though one side is a bit longer than the other. 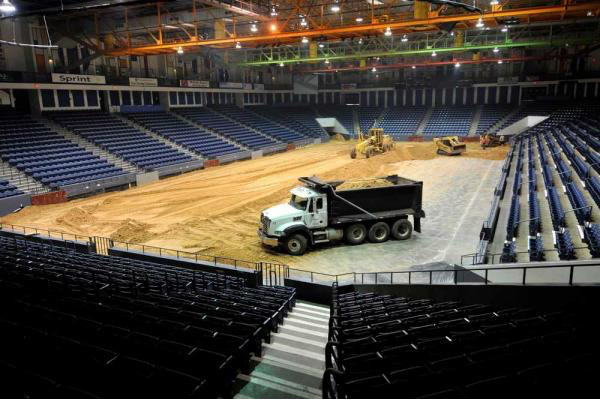 We also added a roof and transformed the stadium to be three-dimensional. This made the whole stadium more realistic and portrayed a more accurate image of the seats and sections of this stadium. 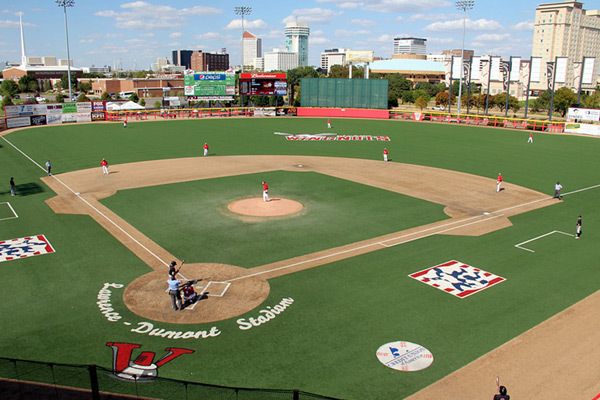 We retained their colors and gave the field a true grass-like field, staying true to their brand and colors. Details, details, details. 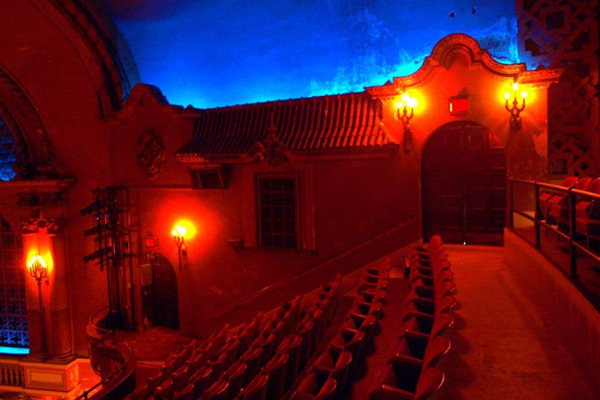 This historic theatre, located in the heart of downtown Wichita is a gorgeous historic venue. 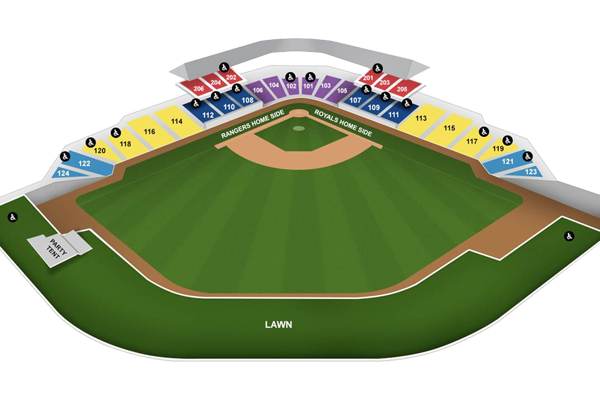 The current seat map was a two-dimensional rendering with very little information and did not adequately showcase the venue or give the viewer an idea of where their seat would be located. We started from scratch and used images of the Orpheum as inspiration for our new map. 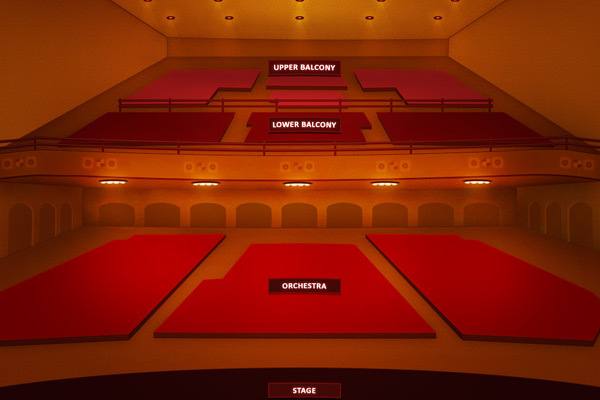 We kept the warm red hues of the actual theatre and incorporated it into our 3D map along with hand drawn details of the actual railing and light design. 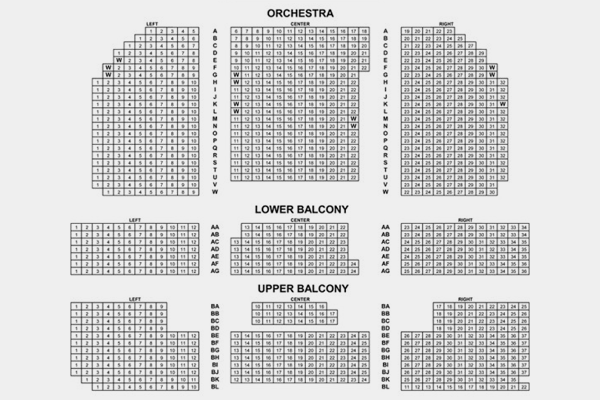 The result is an image full of information and details that stay true to the theatre while also giving information on the two tiered structure and location to the stage. A good web and web app design experience is so important, yet so often gets overlooked. Don’t have a full time designer on staff? We have several! Let us help you with any design needs you may have. Ready to get started? We are dedicated to bringing you the best designs, web apps and venue assets for your organization, perfect for use on your website and all your marketing collateral.